SSL (Secure Sockets Layer) | JP Global Marketing, Inc.
Google is the mack daddy in search engines and they take security seriously. All other search engines and browsers are following Google’s lead and they are all demanding that your website contain an SSL certificate. All websites with any kind of text input in the form of login panels, contact forms, search bars, etc. will need an SSL certificate. If you don’t implement SSL soon, your visitors will see a “Not Secure” “Unsafe” or other nefarious warning on your site. 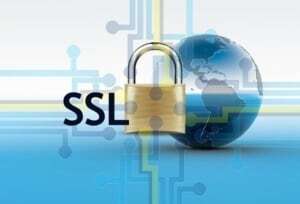 Be sure to ask JP Global about obtaining an SSL for your website.